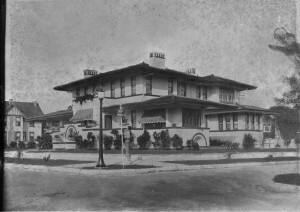 Hyde Park’s Leiman House was built in 1914 by Henry and Margaret Leiman, in the Prairie Style. 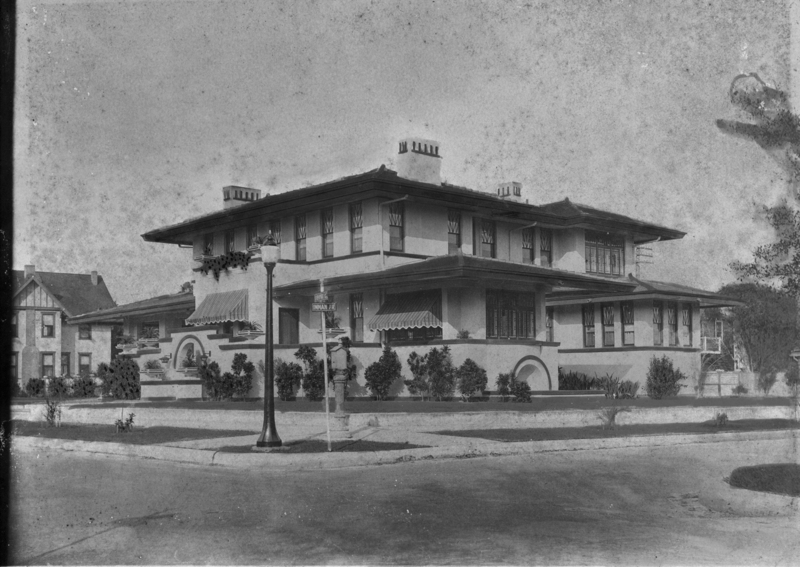 The Leimans moved to Tampa from New York City in 1894, and soon opened the Tampa Box Company, makers of cigar boxes for Tampa’s expanding cigar industry. The Prairie Style exemplified by the Leiman house is one of the few architectural styles found in the United States that is an indigenous American style. The Leiman House features a hipped, low-pitched roof which extends to wide overhanging eaves. The exterior details of the home emphasize horizontal lines with square architectural features. The house has been preserved and retains most of the original architectural details and decorative features.